Tablets are fun and handy gadgets, and just like mobile phones, the technology in them keeps improving year on year. If you’re in the market for one, here are some of the best we’ve seen in 2017. What can we say? This may just be the best Android tablet around at the moment. The large 9.7-inch Super AMOLED display is simply stunning – seriously bright and full of detail. Everything sounds amazing too. With the AKG-branded ‘quad-stereo’ speaker setup, you get true stereo sound whether you’re holding the table in landscape or portrait mode. The Galaxy Tab S3 also features the most advance S-Pen yet (larger and easier to hold, but with a smaller tip), and you can scribble notes on the screen without having to unlock it. 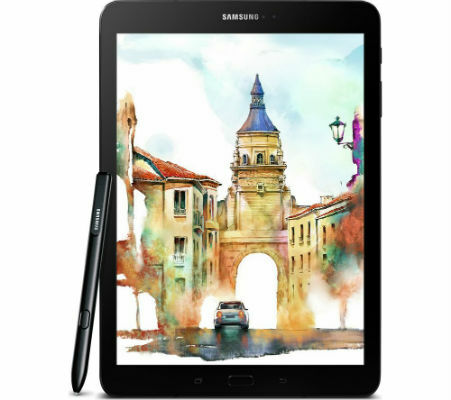 You can buy the Samsung Galaxy Tab S3 from Currys. The Surface Pro 4 is one of Microsoft’s best ever 2-in-1 tablets, and it’s a great choice for work and play. Its massive 12.3-inch screen is Quad HD, so everything you do looks amazing. The Surface Pro 4 runs the Windows 10 operating system, so you can use your favourite Windows programs and apps. 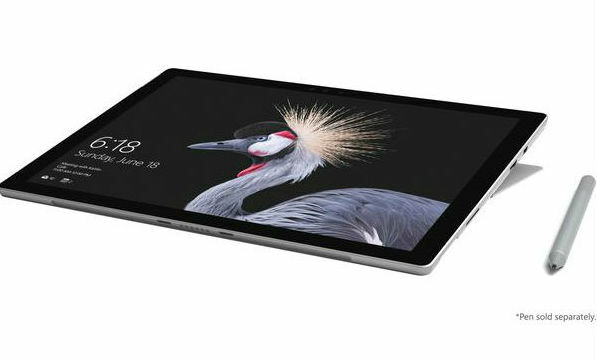 You’ve also got the option of turning your Surface Pro tablet into a laptop by opening the built-in kickstand and adding a keyboard (sold separately). You can buy the Microsoft Surface Pro from Currys. The Google Pixel C is another fantastic Android tablet. It’s packed with power and is lightning fast, so you’ll be able to enjoy the most advanced 3D games and demanding apps that can be downloaded from Google Play. On top of that, the display is one of the brightest around. Oh, and you can also switch between tablet and laptop mode with a magnetically attached keyboard (sold separately). 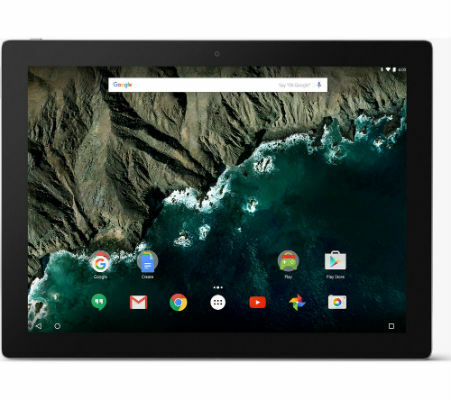 You can buy the Google Pixel C from Currys. This is the cheapest tablet on our list, so if you’re on a budget it could be the one for you – especially if you’re a parent. 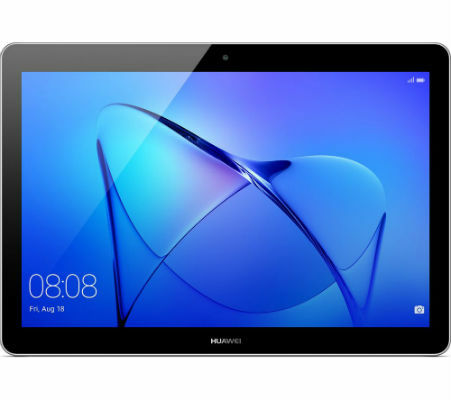 For extra security and protection, the Huawei MediaPad T3 10 has built in parental controls, so you can monitor the kind of content your children are viewing and control access. This tablet isn’t just for kids though – it’s a great entertainment device for anyone. The vivid 9.6-inch display is perfect for watching movies, playing games or checking up on social media feeds. Fun for all the family, then. 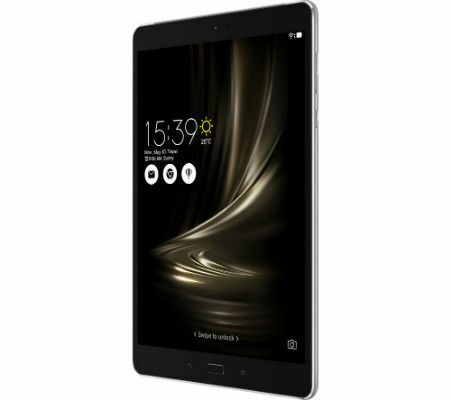 You can buy the Huawei MediaPad T3 10 from Currys. The ASUS ZenPad Z500M 10 has tiny 5mm bezels, which means that almost all the front is taken up by the large 9.7-inch screen for immersive viewing. The display is Quad HD resolution and it looks stunning, with vivid colours and pin-sharp detail. Viewing angles are great too, so it’s the perfect tablet for watching movies with friends and family. The 5,900mAh battery lasts about 10 hours of active use, and with fast-charging, you can get back up to 80% in a mere 30 minutes. You can buy the ASUS Zenpad Z500M from Currys.